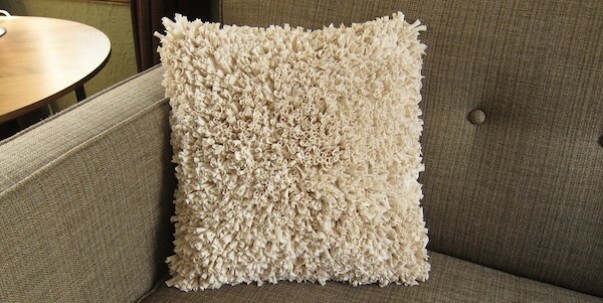 I love shag and this shag pillow made from recycled t-shirts is so cool. See the tutorial posted over at the blog Just Crafty Enough on how to make a recycled t-shirt shag pillow. Thanks so much for showing off my pillow!